This Thursday, January 12, Chipotle in Elk Grove will be hosting a fundraiser for Elk Grove Film Club. 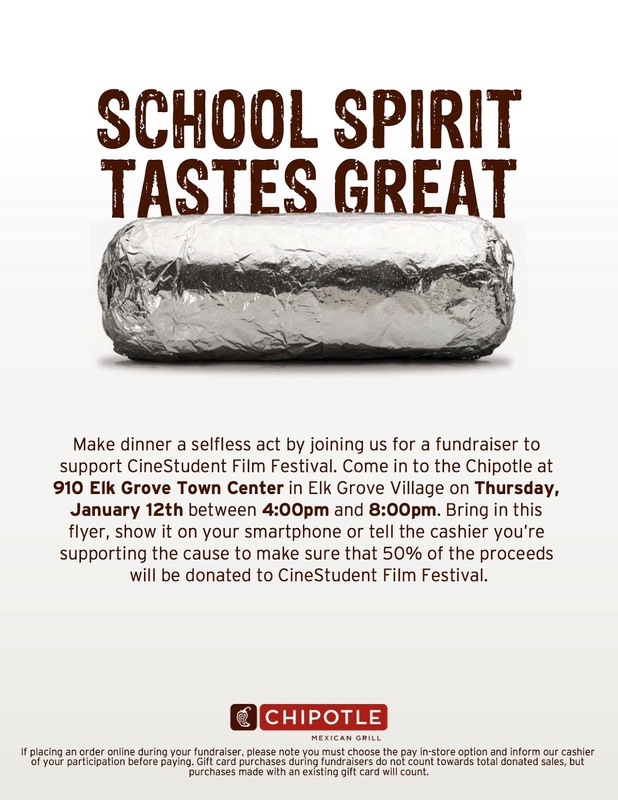 Elk Grove Film Club will get 50% of the proceeds between 4 and 8 pm. Just show them this flyer on your phone or print it out and bring it! Only valid at the Elk Grove location.